Click here to take a FREE Personality Test ON-LINE! Auditor training courses in Academies of Scientology teach a person precise theory and techniques to handle the primary factors that complicate life and aberrate a being. In the interests of imparting data to a student that he can apply and get results with rapidly,Academy training courses are, by design, not comprehensive.Application is stressed in the Academy because in this way one can immediately get results that are obtainable with auditing and can at once start causing conditions in life to change for the better. But a full understanding of Scientology and, therefore, of life could only be arrived at in one way: by following the path that L. Ron Hubbard himself took in order to find the way out of the trap. Walking the same road he walked, seeing the same things he saw would give one a total understanding of life, its mysteries and the technology for solving them. The course that traces every step of this path is the Saint Hill Special Briefing Course. The Saint Hill Special Briefing Course is the largest single course in Scientology. It consists of a comprehensive and chronological study of the entire development of Dianetics and Scientology and contains the largest, broadest body of information on the subject of human behavior, the mind and life that has ever been available. The course is named after Saint Hill Manor in England, Mr. Hubbard’s residence during much of the 1960s, and where he taught the course from March 1961 to December 1966. This covers an intense period of his research, leading to many important discoveries. Auditors came from all over the world to Saint Hill and were present when Mr. Hubbard developed the Bridge to Total Freedom and many of the procedures that today form a large part of any preclear’s auditing. The course was hugely popular and auditors who returned to their areas from Saint Hill were regarded with enormous respect. Demand for the training only available on the Briefing Course resulted in it being established in other areas of the world in organizations called "Saint Hills" as a tribute to the original home of the course. Students study all of L. Ron Hubbard’s books and technical bulletins and listen to recordings of more than four hundred of his lectures on the Saint Hill Special Briefing Course. Due to the scope of the course and the setup necessary to deliver it, only selected Scientology organizations offer the Saint Hill Special Briefing Course. The course consists of sixteen individual checksheets, each requiring an average of three to four weeks of study. Each checksheet covers a specific period of Dianetics and Scientology technology and gives the student a full understanding of the theory and application of the materials of that period. On the final two checksheets, the student audits extensively and becomes expert in the application of Dianetics and Scientology technology. Special training aids helping the student apply his materials are found only on the Saint Hill Special Briefing Course. All of L. Ron Hubbard’s Technical Training Films are seen on the course. The vast panorama of understanding the human mind and the secrets of life is only attained by an in-sequence study of all the developments one by one as they occurred, a consecutive chain of breakthroughs, each one a milestone in man’s understanding of man. Such is available on the Saint Hill Special Briefing Course. Press Office Profiles: David Miscavige, etc. 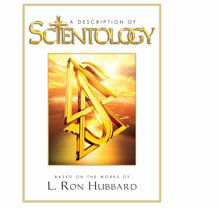 © 1996-2012 Church of Scientology International.All Rights Reserved.